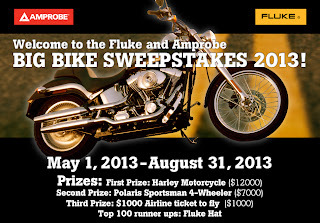 Fluke and Amprobe have a single-entry sweepstakes going on with some really great "guy" prizes. First prize is a Harley motorcycle worth $12,000. Second prize is a Polaris Sportsman 4-wheeler ($7,000). Third prize is a $1,000 airline ticket (check). 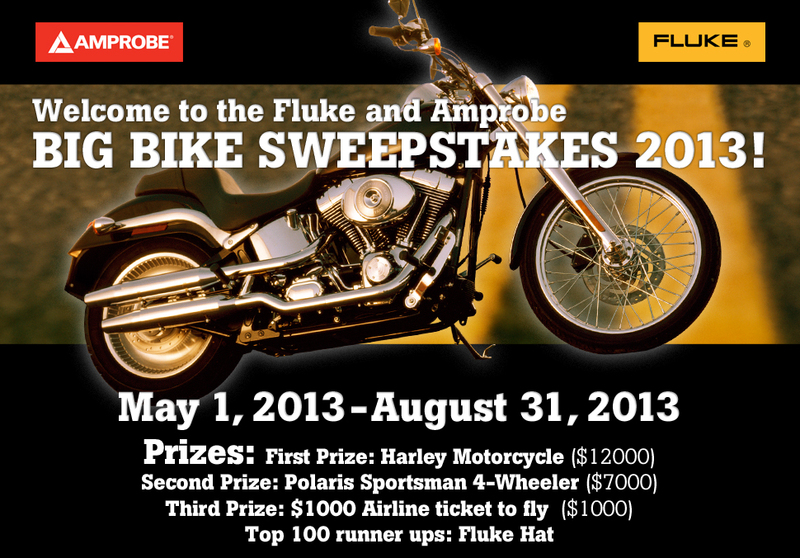 And 100 runner ups can get a Fluke hat or Amprobe multifunction pliers. It runs through the end of August so nothing here for Father's Day, but if you win I'm sure you'll make somebody real happy.